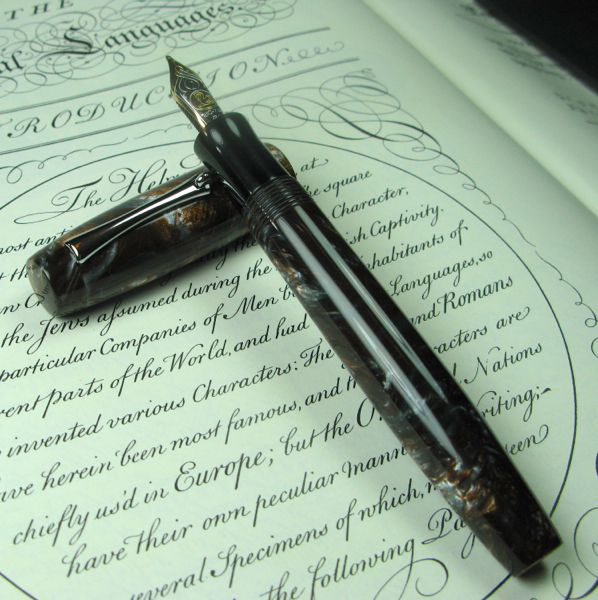 Celebrate 2018’s Fountain Pen Day with Scriptorium Pens and get a $15 Discount on your total fountain pen order and $5 off every dip pen ordered. This discount will apply to all orders placed between 12:00am and 11:59pm Central Standard Time this Friday, November 2, 2018. Celebrating the Balladeer’s 1st Anniversary with 10% off! One year ago I designed a pen for myself with the goal of making a pen that would be wide enough to grip easily and to hold in the hand with little pressure. 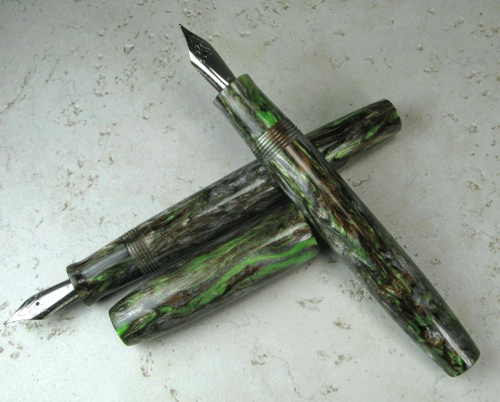 I named it the Balladeer, and it became the best-selling model for Scriptorium Pens. Several customers have referred to it as my “signature” pen. 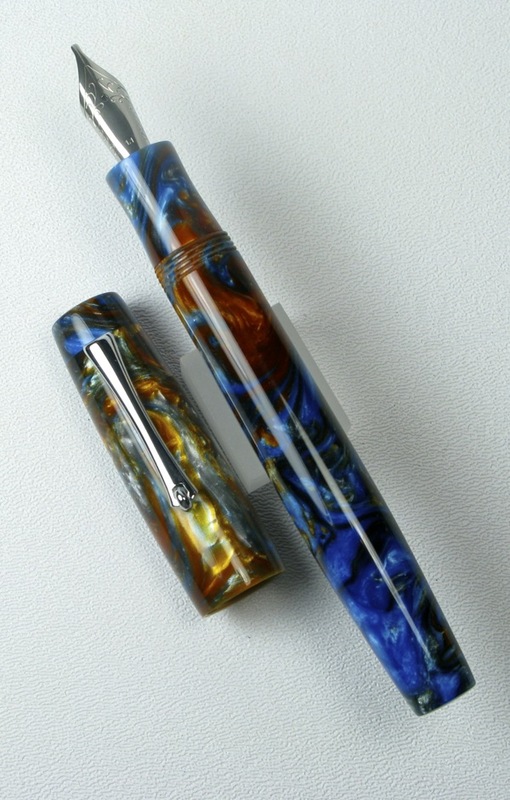 To celebrate this milestone, Scriptorium Pens is offering 10% off on any Balladeer ordered in the next two weeks — any size, any material! Take a look at the Balladeer’s product page to see some of the creative choices other customers have used for their Balladeer, and have one custom-made for yourself. 🙂 Sale ends Friday, May 9th. New Material in time for our Spring Green 5% off Sale! 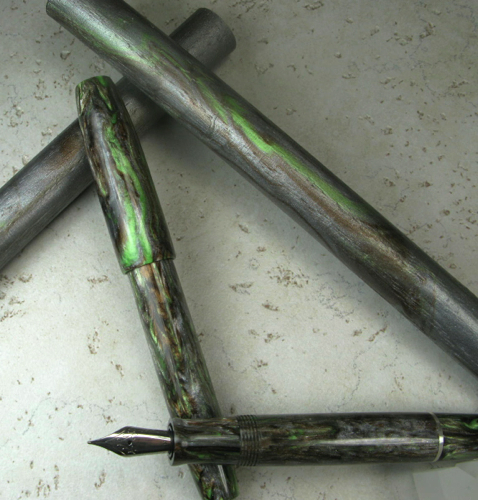 Scriptorium Pens recently commissioned some new pen blanks from designer Jonathon Brooks! 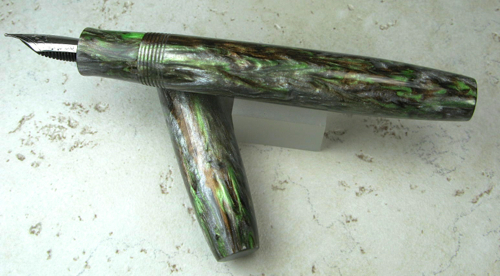 It’s a lovely alumilite with woodgrain-like swirls of silvery taupes, browns, and pale spring greens in our Forest Wood blank series. We’re calling it Springtime Forest. 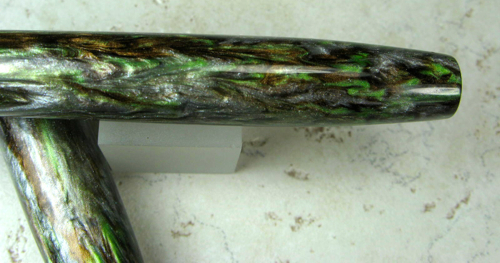 Perfect material for our Spring Green 5% off sale of any pen made with green in the blank! Sale runs through midnight, March 20th.